Russian President Vladimir Putin and Iranian President Mahmoud Ahmadinejad during a meeting in 2005. 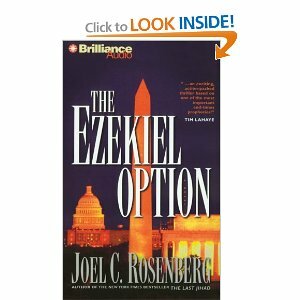 Regulars readers of this blog — and books like The Ezekiel Option and Epicenter – know that I’ve been writing about a growing and troublesome alliance between Russia and Iran since 2005. Given that history, I thought it would be important to bring this New York Post article to your attention today. The headline is, “Why Iran is falling into Russia’s arms,” and it’s written by Amir Taheri. Taheri is an Iranian dissident and former editor-in-chief of an Iranian newspaper whom I find quite insightful about Iranian foreign and domestic policy and political intrigues. He was one of the first international journalists to notice and begin reporting Mahmoud Ahmadinejad’s obsession with eschatology. After reading Taheri’s work, I began to study more closely Ahmadinejad’s pronouncements on the subject and began studying more carefully the substance of Shia End Times theology and its impact on Iranian foreign policy. While he was ahead of the curve on Ahmadinejad’s eschatology, Taheri is a little behind the curve on noticing the alliance forming between Russia and Iran. and its implications. Still, the good news is that he has focused on important new developments in recent weeks and is on to the story now. Students of Bible prophecy will find all this particularly interesting. After all, the Hebrew prophet Ezekiel wrote 2,500 years ago that a dictator (Gog) from the territory we now call Russia (Magog) would form an alliance in the “last days” with Persia (what we now call Iran) and a group of other Middle Eastern countries. The goal of the alliance will be to threaten and then attack a prosperous and secure Israel in the years following Israel’s prophetic rebirth. Such an event has never happened in human history, but a growing number of Jewish and Christian Bible scholars and teachers believe geopolitical trends suggest the fulfillment of the “War of Gog and Magog” prophecy might not be so far off. For now, I commend Taheri’s column to your attention. “A strategic partnership”: So Iran and Russia describe the series of security, economic and cultural agreements they’ve signed together in the past few weeks. Iran’s Foreign Minister Ai-Akbar Salehi arrived in Moscow this week to co-chair the first annual session of the “partnership” with his Russian counterpart Sergei Lavrov. Days earlier, a group of officers from the Islamic Revolutionary Guard arrived in the Russian capital for a crash course in crowd control and civil unrest. They’re expected to return to Iran by May and be “operational” in time for the June presidential election. Iranian authorities are nervous about expected unrest during the elections, and so have called on Russia to help prevent an Iranian version of the “Arab Spring.” But Russia made its support conditional on signing a security treaty with Iran; Tehran complied last month. The agreement represents a break with an old principle in Iran’s defense and security doctrines. Russia has been a source of fear and fascination for its Iranian neighbors since the 18th century. Several wars of varying magnitude proved Russia to be a threat, as successive czars dreamed of winning control of a port on the Indian Ocean — which meant annexing or dominating Iran. In Iranian political folklore, Russia has long been depicted as a bear whose embrace, even if friendly, could smother you….Even after the fall of the shah and of the USSR, the Iranian tradition of keeping the Russian bear at arm’s length continued under the Khomeinist regime. It’s clear that a different fear has moved Tehran to abandon that tradition. The new security pact provides for cooperation in intelligence gathering and the fight “against terrorism, people-trafficking, and drug-smuggling.” But it more significant is that it commits Russia to training and equipping Iranian security forces to deal with civil unrest…. There are other signs of change in Moscow-Tehran relations. Last week, Iran played host to Russian warships visiting Bandar Abbas on the Strait of Hormuz in what looks like the opening gambit for a Russian naval presence in the strategic waterway…. Days after the Irano-Russian pact was signed, Putin announced that he had terminated security cooperation with the United States on the fight against drug trafficking, people-smuggling and piracy. Observers in Tehran say the change in relations is caused by several factors. Both regimes are involved in the Syrian civil war on the side of Bashar al-Assad’s regime. Both believe that the “Arab Spring” is the result of “plots” hatched by Washington under the Bush administration. Both fear that the “velvet revolution” recipe for regime change could be used against them. And both Moscow and Tehran regard what they see as an US strategic retreat under President Obama as an opportunity. They think that, with the United States out, no other power has the capacity to check their regional ambitions.